No longer defined as just the absence of disease or illness in the body or mind, wellness can entail all health habits. We can provide fitness and diet/nutrition counseling to reduce the proven costs of obesity. Wellness services can also include education on stress reduction and postural awareness, and can even include the administration of health risk assessments, discomfort surveys, and stretching programs for employees. Mountain Land also offers a corporate wellness and health program called Run For Health. Run For Health is an on-going and innovative wellness program based on running. Our goal is get/keep your employees healthy through safe training, injury prevention, and nutrition advice/coaching. For more details and pricing contact Brian Boyle, PT, DPT for more information at bboyle@mlrehab.com. Or click here to send us a message. 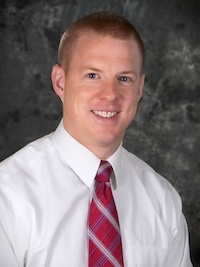 Meet Chad Cottam, PT, DPT! Q1 2019 Share The Love Winners!